Scott Thompson has over 20 years of experience in roofing, construction and service based industry. 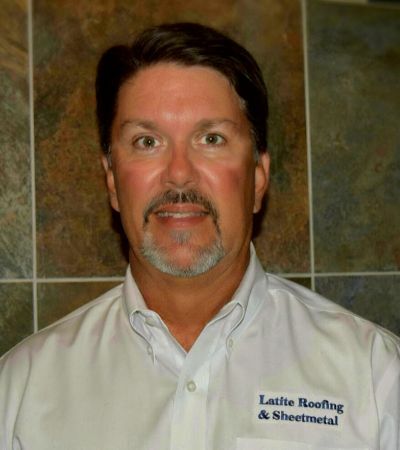 Scott began his career with Latite Roofing & Sheet Metal in 1998 as a Commercial Re-roof Accounts Manager and worked his way up to Vice President of Re-roof & Customer Service, Re-roof Operations Manager then to General Manager of the Tampa division. Scott serves on the company’s executive and strategic planning committees and has played an instrumental part in a wide variety of high profile and landmark roofing projects in Florida. His diverse experience ranges from the single family residence to high-rise facilities, office buildings, entertainment facilities, convention centers, and casinos. Prior to joining Latite Scott worked as a General Manager for Sears Termite & Pest Control in numerous locations throughout Central Florida. Scott’s responsibilities and influence extended throughout all areas of the organization including strategic planning and execution, customer and employee retention, sales management as well as operations with a strong emphasis on customer service. Scott is a native Floridian, and currently resides in Bradenton Florida where he enjoys spending his free time with his family fishing and boating.